Early morning start | Africa, Europe, Russia / Siberia! Well done KLR! 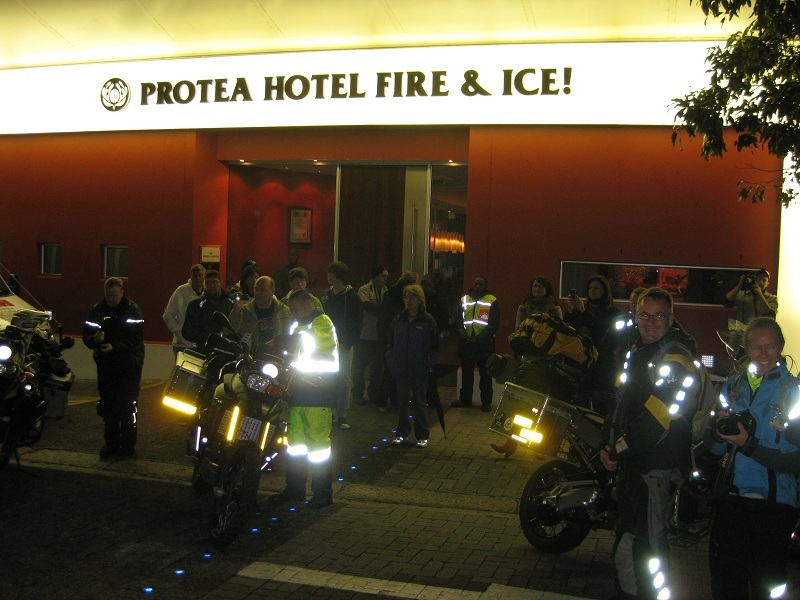 I had the privilege of coming down to Cape Town to spend an evening with a big group of riders on their way to Cairo. At five o’clock on this cold and windy winter morning they rolled down the road from the hotel where we stayed. They had a dry start although the weather forecast still forecasts rain and cold weather for today. The group is organized by Ray Mulder of Tours for Africa. He is taking one group up to Cairo, another group back to Cape Town, and a few riders going both way. 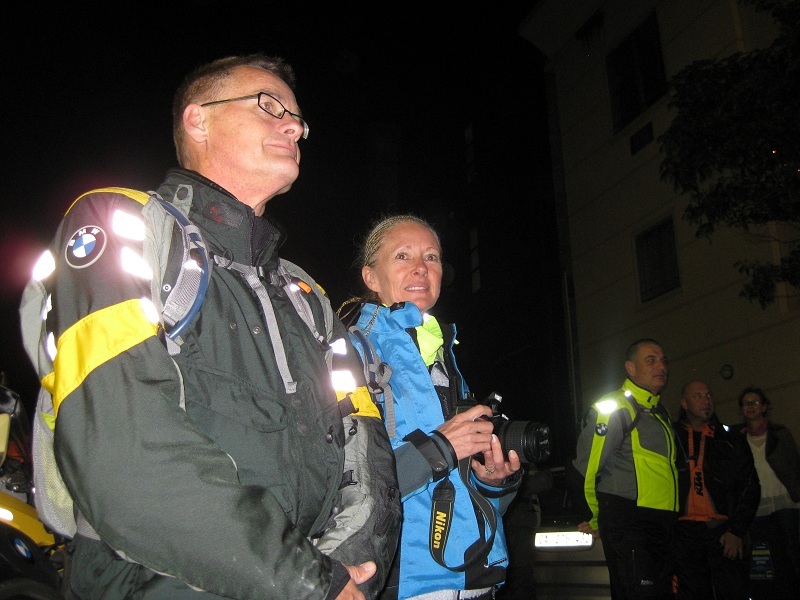 They have two support vehicles and an excellent support crew. I told them that as soon as they had left I would go back to my warm bed, which I did. But I couldn’t enjou the cozy warmth of the bed thinking of so many new friends that were heading north on their bikes (mainly BMW’s). We wish all those riders and one pillion a safe journey! 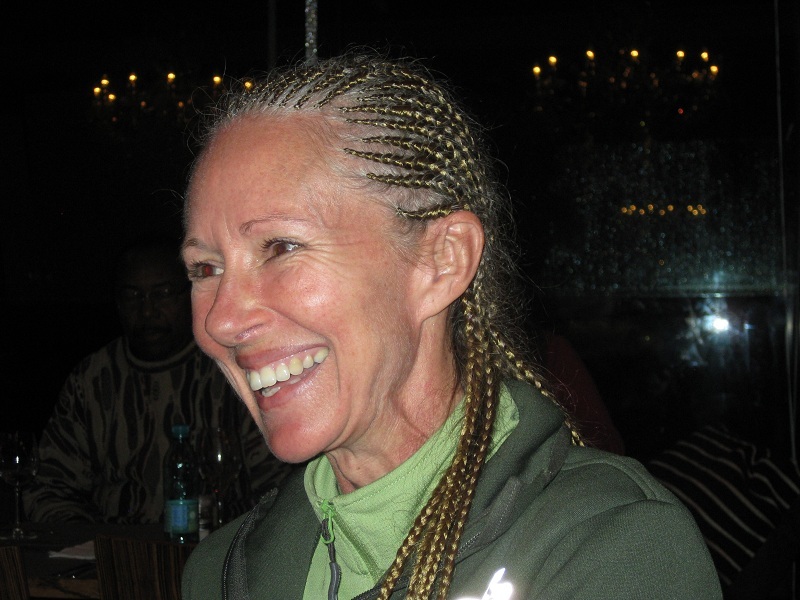 Jacci Schindler had her hair done to be ready for Africa. She is riding pillion with her husband Rolf. 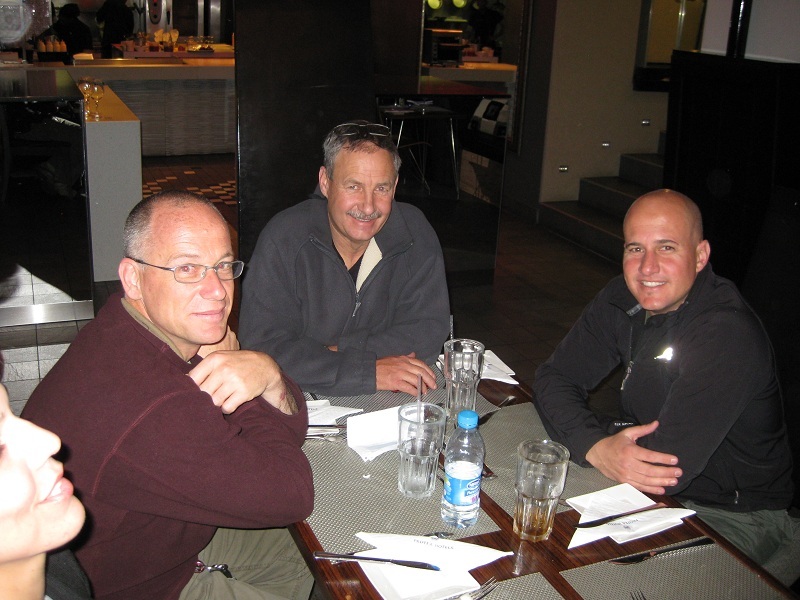 Ray Muller (middle) is the organizer of this tour. The stickers say it all. Friends and relatives turned up to wish the bikers a safe ride. Rolf and Jacci before the final words were said and the riders sent off. 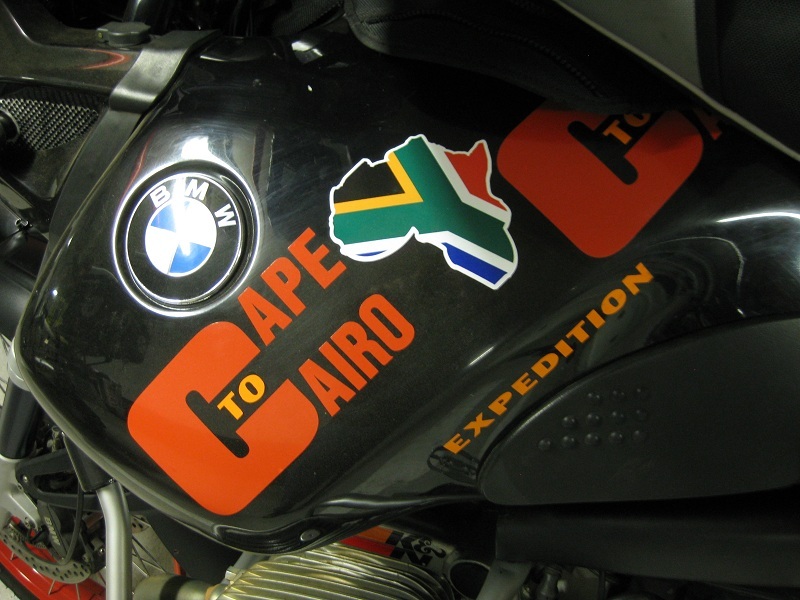 I just arrive in the cape [malmesbury] from our tour CAPE to KENYA [eqeuter] and back .what an experience no support no flats only believe.and the KTM dont mis a beat 14000 km. Hope the guys enjoy the trip.KTM.WP. Theuns, welkom terug en baie geluk met die ry! As mens so op jou eie ry, besef jy die luuksheid van stop waar jy wil, vir so lank as wat jy wil, Ons moet eendag ‘n koppie koffie drink as ek weer in die Kaap is.